Earrings of 18 kt white gold, with Tahitian cultured black pearl drops and pink tourmalines. 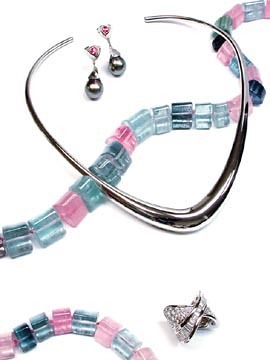 Pink, blue and green tourmaline necklace. Platinum hand forged collar .